Is a sequel to Wreck-It Ralph going to happen? The people behind it apparently think so, according to Moviehole.net. 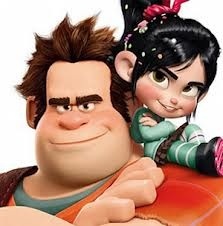 Sarah Silverman, the voice of Vanellope von Schweetz in the film, said that “there will be a sequel.” John C.Reilly, the voice of the title character, added that “The movie made $150 million dollars in eleven days, it broke the box-office record for Disney animated movies on opening weekend. If that’s any indication that we’ll be doing a sequel… I bet we’ll be doing a sequel. And director Rick Moore stated that he would not only be back for a follow up, but also that “Mario is someone you’ll definitely see in the next one…To be able to present him in the sequel, would be great”.